Little Dipper - Just Listed! Walk To Town! 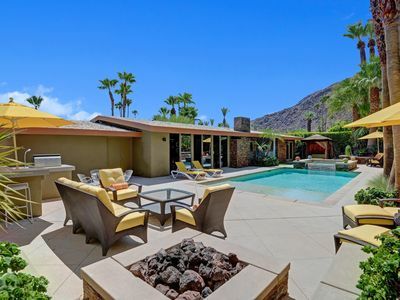 Fabulous Palm Springs Vacation Home Rental where it’s all about leisurely days in the sunshine and long evenings under the starry skies. Gorgeous remodel. Completely updated for the way we live today. New kitchen and baths. Hi speed internet access, 4 flat screen televisions, hi quality sound bars, totally new back yard, new pool / spa /fire feature. Open concept floor plan, soaring cathedral ceilings, 3 bedrooms, 2 baths, sleeps 6 comfortably. Off street parking plus 2-car garage. There are a lot of upgraded features packed into this more than 1,700 square foot, super value-priced home. 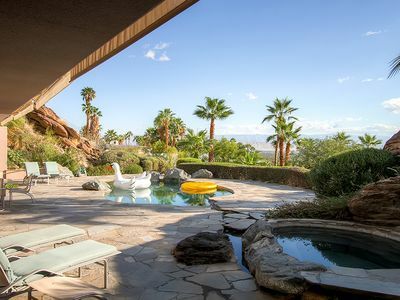 The property owners invested a lot of themselves in creating this hi-tech, hi-style Palm Springs vacation home. 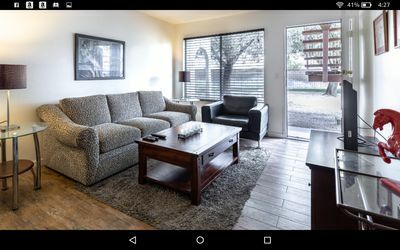 They spend a lot of time here themselves - so you can be sure the property is well-maintained, well-appointed, ultra comfortable and very clean. Little Dipper is just like home - but way way way better. 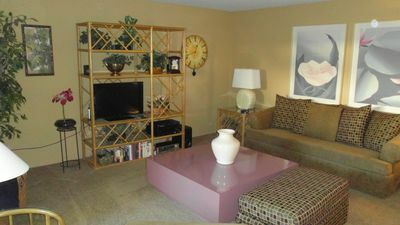 Now available as a Palm Springs vacation home rental for the first time. Take advantage of the introductory rates and open calendar. This is the type of home you’ll want to return to year after year. The look is fresh! The furnishings are comfortable! 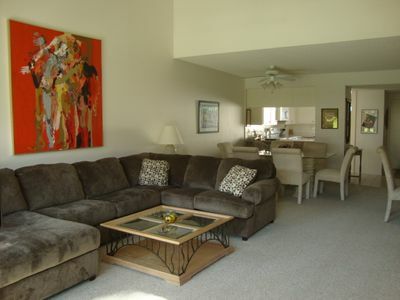 The free flowing open concept floor plan is great for spending time with your entire group. The living room, dining area and kitchen are all open to each other - providing enough space for your entire group to gather, relax and enjoy. The living room features plenty of seating and a huge, top of the line, smart television with a sonos sound bar - perfect for binge watching your favorite shows. The kitchen has been space planned for both individual and group meal prep. There is indoor dining space for those few times you won’t be taking your meals poolside. All of the bedrooms feature comfortable queen-size beds, ample storage, and flat screen televisions.The master bedroom offers an en suite bath and direct access to the yard. The two guest rooms share easy access to the Jack and Jill bath. Each has it’s own private water closet and shares a beautifully designed shower room. This vacation home rental captures the magic of Southern California glamour. The entire property has been walled and gated for privacy. The pool yard itself reminds us of a swank boutique hotel where every inch of the property has been carefully space planned for maximum enjoyment. 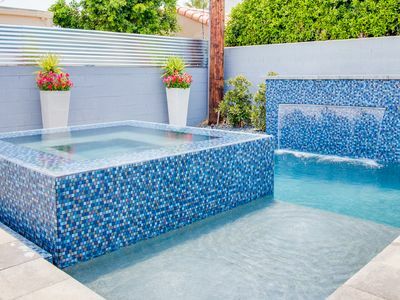 The inground pool and spa (saltwater) features gorgeous glass mosaic tile is surrounded by chaise lounges, shade umbrellas, an outdoor shower, a gas barbecue and al fresco dining. Plus there is a huge custom built outdoor lounge with the longest fire feature. Perfect for spending long evenings under the desert’s starry skies. Tucked away on a quiet residential street in the Movie Colony East neighborhood, The Little Dipper is just a few blocks from Ruth Hardy Park, the Convention Center and the Casino. 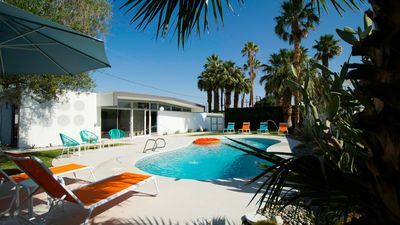 You’ll be less than a mile from the world famous Palm Canyon Drive - walking distance to the Palm Springs Uptown Design District with its fine dining restaurants, sidewalk cafes, specialty boutiques, art galleries and midcentury modern furniture showrooms.Night spots like Tropicale and the Copa are just a short stroll away. You'll also be in walking distance to at least six stops for The Buzz, the City's free trolley service that whisks you up and down the main thoroughfares - giving easy drive-free access to all the best commercial neighborhoods in Palm Springs. Optional Concierge Services including Daily and Mid-stay Maid Service, Private Chef, Pre-arrival grocery stocking and poolside massage can be arranged. Three-week prior notice suggested. Advanced Booking strongly advised. See our Summer Offer! 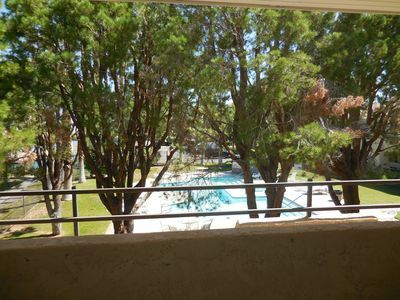 This Wexler will wow you - Palm Springs perfect!